Another Canadian retailer closing! Did you hear the news that broke earlier today? 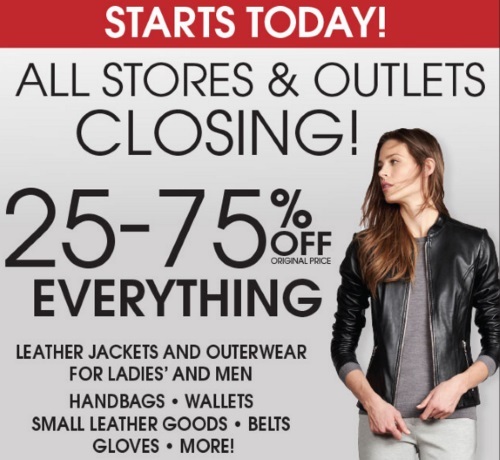 Danier Leather stores and outlets across Canada are closing! They are starting a liquidation sale today with 25-75% off everything including leather jackets and outerwear, handbags, wallets, small leather goods, belts, gloves and more. The store fixtures, furniture and equipment are also for sale. There are 76 Danier Leather stores and outlets across Canada. Click here to browse Danier Leather.